CustomInk, a provider of custom apparel and accessories for groups and communities, entered into a definitive agreement to acquire Represent, a social commerce startup that helps influencers create and sell limited-run t-shirts and merchandise to their fans and followers. No financial terms of the deal were disclosed. The companies will integrate their supply chains and other aspects of their operations and technology. Represent will continue to operate as a distinct brand out of its offices in Los Angeles and Prague. Launched in May 2014, Represent is backed by investors that include Ashton Kutcher and Guy Oseary of Sound Ventures, James Franco, and WME/IMG. 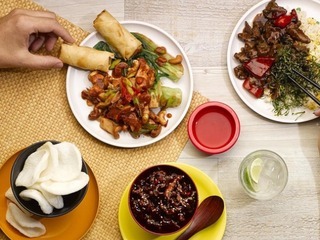 Just Eat, a provider of online food ordering and delivery, acquired three food ordering platforms from Rocket Internet. The total price of the deal was €125 million. The company bought La Nevera Roja, a Madrid-based online food ordering platform; PizzaBo, a pizza (and other food) ordering platform serving Italy; and hellofood, which has offerings in Italy, Brazil, and Mexico. The transactions in Italy, Brazil and Mexico are already completed. It is anticipated that the transaction in Spain will be completed by the end of Q2 2016, as it is still subject to regulatory approval from the Spanish competition authority, the Comisión Nacional de los Mercados y la Competencia. Infogain Corporation, a global business and IT consulting leader, completed its acquisition of IT operations from digital transformation consulting and services company Blue Star Infotech . No financial terms of the deal were disclosed. Under the agreement, Infogain and Blue Star Infotech are combined under Infogain, and at closing, the combined entity will have close to 4,000 employees and nine delivery locations globally. Sunil Bhatia, Chief Executive Officer and Managing Director at Blue Star Infotech, will join Infogain’s management team as its CEO designate, and will assume responsibilities as CEO of the combined entity on July 1, 2016. At that time, Kapil Nanda, President and Chief Executive Officer of Infogain, will transition to his role as full-time Executive Chairman. The companies first announced the acquisition in October. Professional social network LinkedIn acquired recruiting platform Connectifier. Financial terms of the deal were not disclosed. The deal will will further strengthen LinkedIn;s core products and accelerate its product roadmap, leveraging powerful machine learning-based searching and matching technology to help recruiters and hiring managers find the perfect talent fit. As per the deal. Connectifier will be sunsetting, and its R&D team will be relocating to the San Francisco Bay Area to become part of the LinkedIn Talent Solutions product line. Founded in 2012, the company had raised $11.7 million in venture funding. Internet analytics company comScore completed its acquistion of movie and TV viewership tracker Rentrak. No financial terms of the deal were disclosed. Rentrak was a publically traded company that had its IPO back in 1988. The deal was first announced in September. IBM acquired German digital agency Aperto. No financial terms of the deal were disclosed. Aperto will join the IBM Interactive Experience (IBM iX) team, supporting IBM’s growth in the largest economy in Europe. The company's 300-plus employees will continue to serve its roster of clients, which currently includes companies such as Airbus Group, Volkswagen and Siemens. The transaction is expected to close in the first quarter of 2016 and is subject to applicable regulatory review and customary closing conditions. IBM also signed a definitive agreement to acquire ecx.io, a full-service digital agency headquartered in Dusseldorf, Germany. No financial terms of the deal were disclosed. The proposed acquisition of ecx.io extends the strategy and design expertise of IBM Interactive Experience (IBM iX) with new digital marketing, commerce and platform skills to accelerate clients’ digital transformations. Upon close of this transaction, ecx.io will bring 200 employees to IBM iX. Clients will benefit from this range of capabilities, combined with the strategy, analytics, cloud and cognitive depth of IBM. ecx.io will continue to serve its roster of clients, including Axalta, SPAR, Hammer and JAB Anstoetz, from existing locations in Dusseldorf, Bracknell/London, Munich, Wels, Varaždin, Vienna and Zurich. Australian ecommerce site AHALife acquired design ecommerce platform Bezar. No financial terms of the deal were disclosed. As part of the acquisition, Bradford Shellhammer, Founder and CEO at Bezar, will become Advisor to the combined company, and key members of the Bezar team will join AHAlife in its New York headquarters. Launched in March 2015, Bezar has featured thousands of designers and creative entrepreneurs, building a dignified platform to showcase their designs, grow their brands, and focus more time on innovating new products. The company had raised $2.25 million in venture funding. ZAGG, a maker of accessories for smart phones and tablets, signed of a definitive merger agreement under which it will acquire mophie, a battery case manufacturer. The price is $100 million at closing, plus the amount by which 5X Adjusted EBITDA exceeds $100 million over a 12-month earn-out period from April 1, 2016 to March 31, 2017. The purchase price at closing will be funded with cash and debt. The earn-out will be financed through a combination of cash, debt and up to $5 million in ZAGG common stock. The agreement also allows mophie to collect approximately $15 million from certain pre-merger tax and custom duties refunds and real estate sale proceeds, if received post-closing. Founded in 2005, mophie has raised $1 million in venture funding from FreshTracks Capital, InvestMichigan and Village Ventures. Men’s personal shopper Modomoto acquired competitor The Cloakroom. Terms of the deal were not disclosed. Modomoto will continue to run The Cloakroom brand in their markets and cofounders Asbjørn Jørgensen and Kasper Brandi Petersen will join the management board of Curated Shopping Group, a newly formed stylist-assisted online shopping website. The Cloakroom was launched in 2013 and has a team of 50 in Amsterdam. Home services on-demand company Housejoy acquired on-demand laundry and cleaning company MyWash. No financial terms of the deal were disclosed. The MyWash team will move to and operate from Housejoy's office in Bangalore. Its target is to grow its laundry business to 10,000 services per day over the next 12 months. This is the first acquisition for Housejoy. Microsoft acquired smartphone keyboard app SwiftKey. No financial terms of the deal were disclosed. SwiftKey’s predictive technology aligns with Microsoft’s investments and ambition to develop intelligent systems that can work more on the user’s behalf and under their control. SwiftKey's employees will be joining Microsoft. Launched in 2010, Siftkey users have saved nearly 10 trillion keystrokes, across 100 languages, saving more than 100,000 years in combined typing time. The company has raised $21.59 million in venture funding. Sunshine, a next-gen weather network built entirely on mobile, acquired PressureNet a smartphone network of atmosphere sensors. No financial terms of the deal were disclosed. PressureNet will be integrating its software and services with Sunshine, but it will not be shutting down, and will be releasing an Android version in the future. The company was launched in 2011 with the goal of perfecting early warning technology in high risk areas for potentially deadly storms. FormFactor, which helps semiconductor manufacturers test the integrated circuits, agreed to acquire semiconductor test equipment manufacturer Cascade Microtech. The cash and stock transaction values Cascade at $21.13 per share, or $352 million in equity value. Mike Slessor, FormFactor’s current Chief Executive Officer will lead the combined company and Tom St. Dennis, FormFactor’s Chairman, will continue in that role. FormFactor anticipates adding one new board member from Cascade’s existing board after the closing. The 2015 revenues of the combined company on a pro forma basis would be over $426 million. Hewlett Packard Enterprise, which split off from Hewlett Packard in 2015, acquired Trilead, a developer of low-cost data protection software for virtualized environments. No financial terms of the deal were disclosed. Trilead will be a part of HPE’s Information Management solutions. Current Trilead developers will continue to innovate and improve solutions alongside the HPE team. Cisco acquired cloud-based IoT service platform Jasper Technologies. The price of the acquisition was $1.4 billion. Founded in 2004, Jasper had raised $205.3 million in venture funding. Zillow Group, which houses a portfolio of real estate and home-related brands, entered into a definitive agreement to acquire Naked Apartments, a rentals-only platform. The deal is for $13 million in cash. Naked Apartments will become Zillow Group's fifth consumer brand, and the second in Zillow Group's New York City portfolio, alongside StreetEasy. Launched in 2010, Naked Apartments has 13 employees. The company is led by CEO Joe Charat and CTO Jay Signorello. Post-close, Charat will continue to lead the company as General Manager of Naked Apartments, and Signorello will remain the CTO. Veolia, which designs and provides water, waste and energy management solutions, acquired Kurion, a technology development company providing proprietary solutions to waste cleanup. The deal is worth $350 million. Kurion was credited for stabilizing Japan's Fukushima Daiichi nuclear power plant in the wake of the 2011 tsunami. With the addition of Kurion's expertise and technology, Veolia is rounding out its portfolio of services to the nuclear industry and will now be able to provide all existing solutions and know-how in both nuclear facility cleanup and the treatment of low and medium-level radioactive waste. The acquisition is subject to approval by US authorities, in particular US competition authorities. Apple acquired security consultancy firm LegbaCore. No financial terms of the deal were disclosed. Xeno Kovah and Corey Kallenberg, founders of LegbaCore, and the team are working on low-level security at Apple. Fanatics, a provider of officially licensed sports merchandise, completed the acquisition of Kitbag, a UK-based international sports eCommerce company. No financial terms of the deal were disclosed. Kitbag generates in excess of $100 million of revenue per annum. Its commercial partners include: Chelsea, Everton, Manchester City, Manchester United, Real Madrid, Wimbledon, The RFU, Tour de France, The NBA, The NFL and Formula1. Summit Partners, a global growth equity investor, acquired Perforce Software, a developer of a control and collaboration platform. No financial terms of the deal were disclosed. In conjunction with the investment, Janet Dryer will assume the role of Perforce CEO. Summit Managing Director Peter Rottier and Summit Vice President Scott Ferguson have also joined the Perforce Board of Directors. Perforce was Founded in 1995, and more than 10,000 customers rely on its products every day, including Salesforce, Electronic Arts, NVIDIA, Cisco, Samsung and VMware. Votigo, a social media marketing and promotions company, acquired Heyo.com, a contest platform for small businesses. No financial terms of the deal were disclosed. Combined, the company now boasts over 3,000 customers ranging from small business to large brands, agencies, and enterprises. 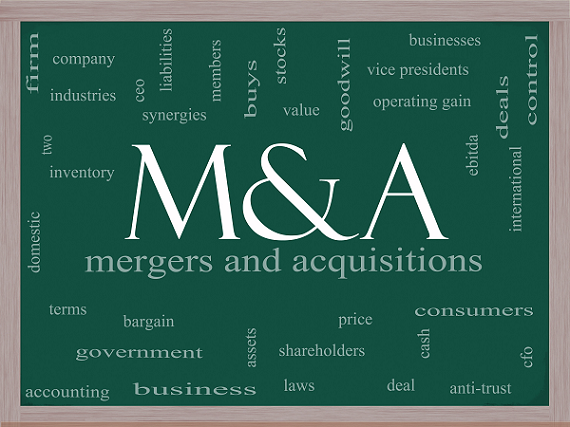 The acquisition was finalized on January 4, 2016. Founded in 2011, Heyo had raised $2 million in venture funding from CIT GAP Funds, Third Security and Valley Ventures. Avtex, a customer experience technology deployment and consulting company, acquired Webfortis, a Microsoft Dynamics CRM provider. No financial terms of the deal were disclosed. The acquisition will implement the additional resources, support and custom applications available to further leverage the Microsoft Dynamics CRM platform. It also expands Avtex's national footprint, providing it with sales offices in Walnut Creek, LA and Washington, DC. Cyber security company FireEye acquired security orchestration and automation provider Invotas. No financial terms of the deal were disclosed. Invotas’ technology will be integrated into the FireEye platform, enabling customers to purchase FireEye products and threat intelligence offerings with an orchestration and automation overlay. Invotas, which has 19 employees and is headquartered in Alexandria, Virginia, will be integrated into the FireEye Global Engineering and Security Products organization. This acquisition will enable FireEye to unify the security product, threat intelligence and incident response elements of the FireEye platform into a single console, giving enterprises the ability to respond more quickly to attacks through automation. Telenor Group, a Norweigan telecommunications company, entered into an agreement to acquire approximately 95% of Tapad, a marketing technology firm. The purchase price is $360 million, on a debt and cash-free 100% basis. The acquisition enables Telenor to take a position within the rapidly growing market for advertising technology, and secures important competence within digital marketing and analytics. Are Traasdahl, the company’s Chief Executive Officer, and Dag Liodden, the company's co-founder and CTO,, have together retained a 5% stake in Tapad. Tapad will be operated as a stand-alone company. Traasdahl and Liodden will maintain their positions. Within its media business, Tapad currently has more than 160 of the top U.S. brands among its customers and benefits from over 50 data technology licensing partnerships. In 2015, the company is expected to report revenues of $57 million, growing at 70% compared to 2014. Tapad has approximately 160 employees, with offices in 13 key cities in the U.S. and Europe. Founded in 2010, the company had raised $33.8 million in venture funding.